Narvo OÜ benefits from long-standing traditions as a manufacturer of machine rounded wooden poles and sawtimber. We are in business since the beginning of the 1990s as based in the small town of Kehra at Puidu 2. Our employees boast more than twenty years of experience in manufacturing quality wooden poles. A large part of our production is exported to Scandinavia and Southern Europe. 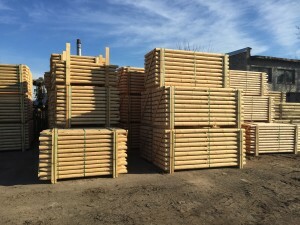 At the same time we are happy to provide poles, sawtimber and firewood to aloyal customer base in our own rural municipality, in Harju County, as well as across Estonia.